The “Gold Standard” of transport bases. 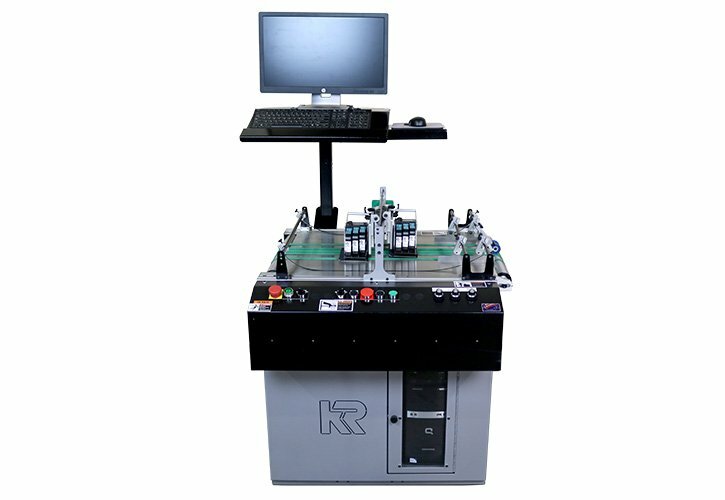 We completely revamped the very popular KR519 transport base to provide class leading print quality, durability and modularity. Perfectly suited to handle all kinds of products, from direct mail pieces to flat chipboard and corrugated cartons. With four sided “T” slotted heavy duty extruded aluminum frames, the mounting options are endless. Perfect for inkjet printing systems, label applicators, attaching systems, and inspection systems. Modularly designed and engineered to add a variety of feeders and delivery systems as well as place in-line with existing systems. Designed for inkjet applications that require drying or curing units. The base is split at desired length to allow an additional set of heat belts. Designed for all high-speed applications such as the new UV inkjet systems. Many different lengths and belt styles available. 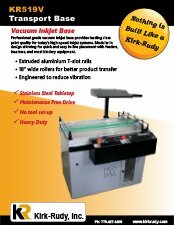 This lower cost vacuum base contains many of the same features as our industry standard professional grade KR519 lineup. Engineered to handle high speeds and easily integrate with existing systems. Perfect for use with thermal inkjet printers and camera verification systems. Note: This version is only available in 30” length. 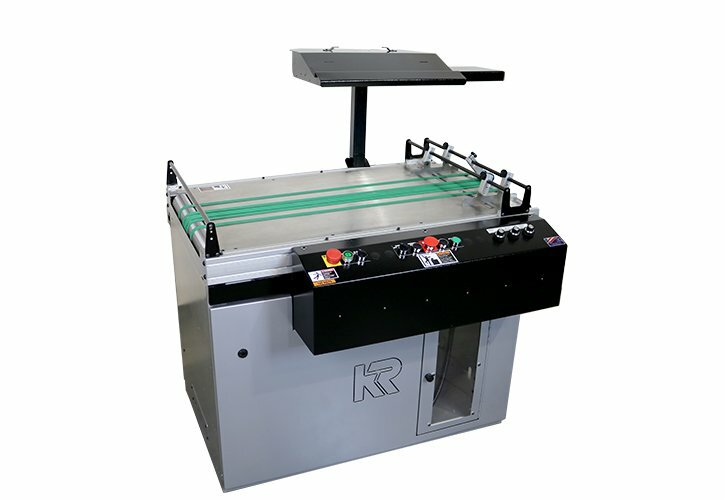 Not all standard KR519 features and options apply. See brochure for more information.